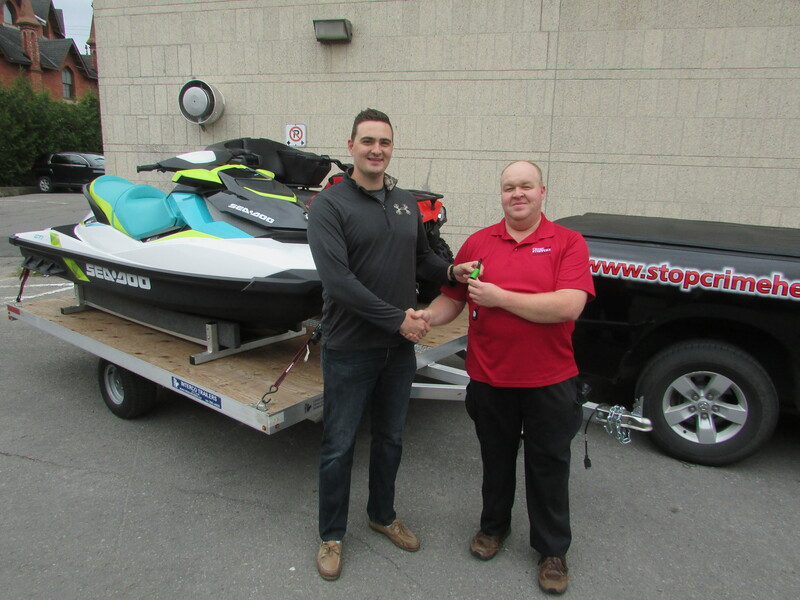 The Peterborough Northumberland Crime Stoppers would like to congratulate Tom Whiteway as this year’s winner of the 2018 Ultimate Outdoor Package! 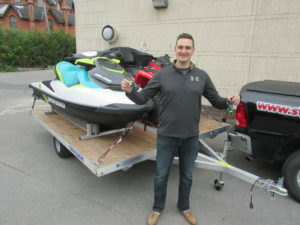 Tom held the winning ticket to this year’s $30,000 value package that included: a 2018 Can AM 450 4×4 ATV, a 2018 3 seater SeaDoo GTI and a custom built BRT Aluminum trailer to haul both. 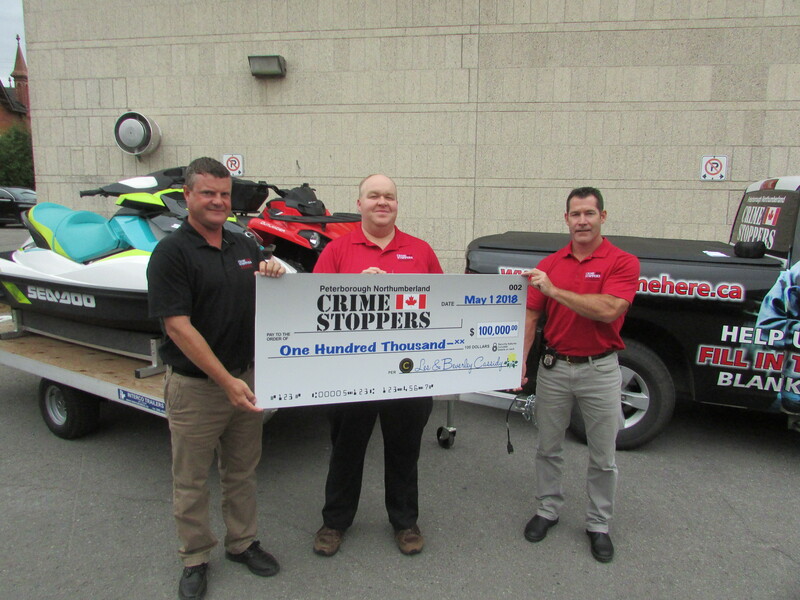 This incredible fundraiser would not be possible without the generosity of Crime Stoppers biggest supporters, Les and Bev Cassidy. 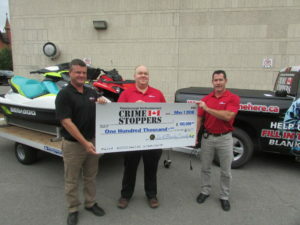 Once again the Cassidy’s matched the single largest financial donation to any Canadian Crime Stoppers Program by donating $100,000 to the Peterborough Northumberland Crime Stoppers Program. 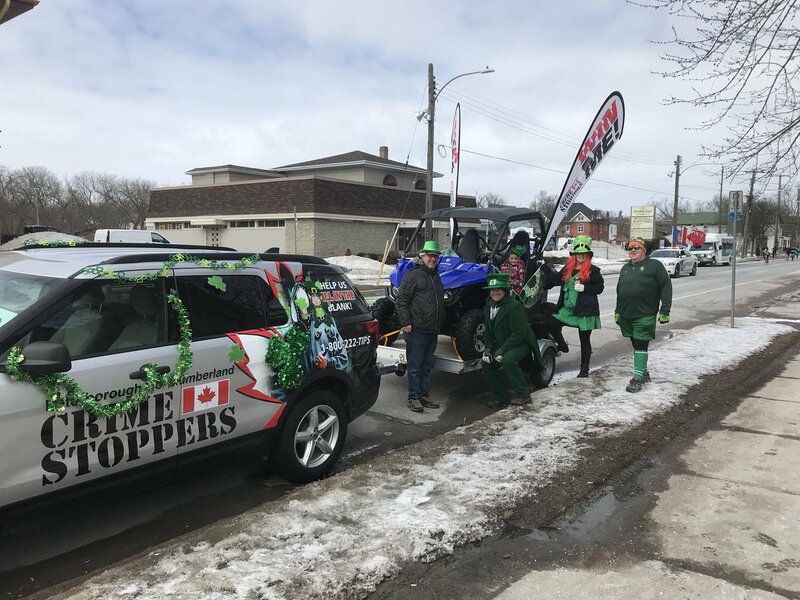 The Cassidy’s ongoing support makes Peterborough Northumberland Crime Stoppers the envy of their fellow programs across the Country. 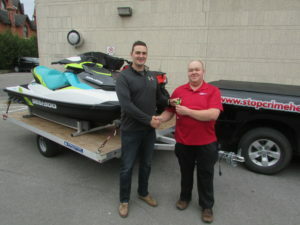 The Cassidy’s have provided a legacy that will allow Peterborough Northumberland Crime Stoppers to thrive for many years to come.